Between 2008 – 2015, I undertook research investigating the occupation eye exposure of non-ionising radiation in professional pilots. The following gives a summary of the research and results. For readers interested in further information, please see my bibliography page. Non-ionising radiation forms part of the electromagnetic spectrum and includes ultraviolet (UV), visible light and infrared (IR). UV is generally split into 3 wavebands: UVA, UVB and UVC. UVC is the most damaging to humans but is generally absorbed in the upper atmosphere. UVB causes skin tanning and in excessive exposure, sunburn. UVA is the least energetic of the UV wavebands. UV is not visible to the human eye and the effects to short intense exposures to UV are rare but include conditions such as snow blindness and arc eye (following exposure from welding). It is also known that long term, less intense exposure to UV increases the risk of cataract development. This is where the lens inside the eye becomes gradually more opaque. Treatment is by surgery where the human lens is removed and replaced with clear man made material. High exposure to IR can also induce cataracts as well as damage to the back of the eye through a different mechanism (thermal damage). However, this type of exposure is accompanied by pain sensation in the skin resulting from intense radiant heat. There is not considered to be a significant risk of solar IR exposure during flight. Visible light reaches the retina at the back of the eye and it is known that intense exposure to blue light particularly around the 440nm wavelength band can cause damage to the retina, permanently affecting sight. There is also evidence that less intense but increased exposure to this blue light hazard over a longer period of time may accelerate the type of damage seen in macular degeneration. There are International guideline limits for eye exposure to both UV and the blue light hazard. Exposure below these limits would not be expected to cause adverse effects to the eye. The research project I conducted assessed the eye exposure to ultraviolet (UV) radiation and the blue light hazard in typical airline and commercial helicopter operations. The study measured pilot eye exposure and dose throughout a number of flights on various aircraft types and at different times of the year. Additionally, a survey was administered to a large number of current UK professional pilots to ascertain what eye protection practices are typically employed during flight and the type of practical issues encountered with managing bright sunlight on the flight deck and with using sunglasses. With regard to UV exposure, the study found no measurable UVB on any flight. This was due to the filtering effect of the front aircraft windshields and side windows; however, there were wide variations in UVA exposure to the unprotected eye in various flights. The main factor determining exposure was not the route, time of day or time of year or even aircraft type but the UVA filtering properties of the aircraft front windshields and side windows. The study found that windshield filtering properties fell into one of two distinct groups: those windshields which effectively block UVA radiation up to the end of the UVA waveband (400nm) and those which effectively blocked up to around 350-360nm but transmitted UVA radiation beyond this wavelength. On board an aircraft with good UVA blocking cockpit windshields and windows, the eye exposure to the unprotected eye to UVA would never exceed International guideline limits regardless of sunlight intensity or flight time. All flights on board aircraft with poor UVA blocking cockpit windshields and windows showed UVA eye exposure to the unprotected eye to be beyond International guideline limits for extended viewing (over an eight hour period). This limit can be exceeded within 1 hour of flight and were up to between 4.5 to 6.5 times greater than the limit on one flight. Most of the windshields assessed in the study showed poor UVA blocking properties and of the aircraft (of varying types) measured, it was the oldest registered aircraft with good UVA blocking windshields. All newer aircraft measured had poor UVA blocking properties. There was no correlation with particular aircraft type and importantly there is no means for the pilot to be able to visually assess the UVA filtering properties without further measuring equipment. Therefore although the windshield may be a thick, multi-layered material with no sun-tanning effect observed during flight does not mean complete protection from UV. Increases in both UV and blue light hazard were found at altitude. Exposure to the unprotected eye to the blue light hazard was more dependent on external conditions and particularly the relative position of the sun to the pilot’s eye (increasing levels of exposure where the sun is near the line of sight). A large variation in increase between ground and altitude exposure was measured (partly due to variation in weather conditions on the ground). There was an average of 4.1 times increase in blue light hazard at altitude. Exposure to the blue light hazard fell well within International limits for exposure to the unprotected eye, however the effect of this increase in exposure over a career or lifetime is unknown. The results from survey revealed that bright sunlight conditions can occur in flight which can be distracting, uncomfortable and less commonly debilitating for the pilot. Pilots were critical of standard aircraft protection systems such as visors and commonly employed other strategies to manage bright light. Although one strategy available to the pilot is to wear sunglasses, there was a surprisingly wide variation in use between pilots and around 25% of those questioned wore sunglasses less than 10% of the time or not at all. 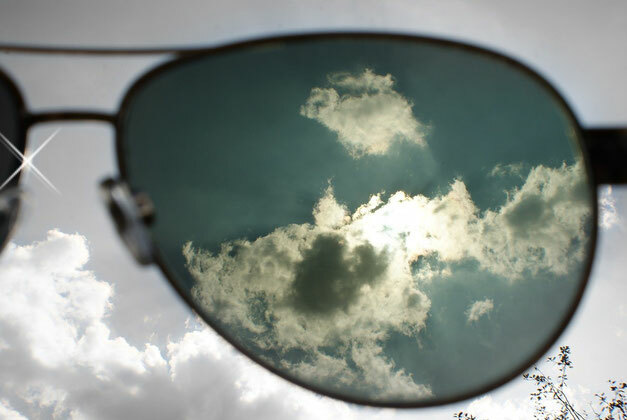 The most common reason for not using sunglasses was due to the requirement to wear corrective spectacles. Other common reasons for sunglasses not being used was the depth of sunglass tint interfering with instrument legibility and comfort of the frame, particularly the interaction of the frame side over the ear with the headset. A wide variety of sunglasses were used by pilots although aviator styles were used more commonly be helicopter pilots and wrap-around styles were used more frequently by long haul pilots. There was a low take up of sunglasses specifically marketed for pilots.  All sunglasses should be manufactured to national or international limits and will offer sufficient protection to the pilot from UVA to ensure that eye exposure would not exceed International guideline limits. Additionally, all standard sunglasses measured in this study offered sufficient blue light hazard attenuation to ensure that the typical eye exposure at altitude would be no greater than exposure to the unprotected at ground level. Pilots should be aware of the potential for excess UVA eye exposure during flight. In order to try to ensure success with sunglasses, pilots should ensure that the frame is comfortable, light and well fitting and can be removed or put on with one hand. It may be useful to take a headset when choosing sunglasses. A graduated tint which is darker at the top and gradually gets lighter towards the lower part of the lens is useful to ensure aircraft instrument legibility when the eyes are lowered. This type of lens still offers good UV protection yet in the survey, only around 10% of pilots used this tint. Those pilots requiring optical correction should ensure that the lens material has good UVA blocking properties. This is not the case for typical standard materials used however there are both spectacle and contact lens materials available with good UVA blocking properties. It is suggested that pilots discuss these options with their local eyecare practitioner. It is recommended that all new aircraft have good UVA blocking windshields fitted and that an aircraft windshield labelling system be introduced so that the pilot can tailor their eye protection strategies to each individual aircraft.